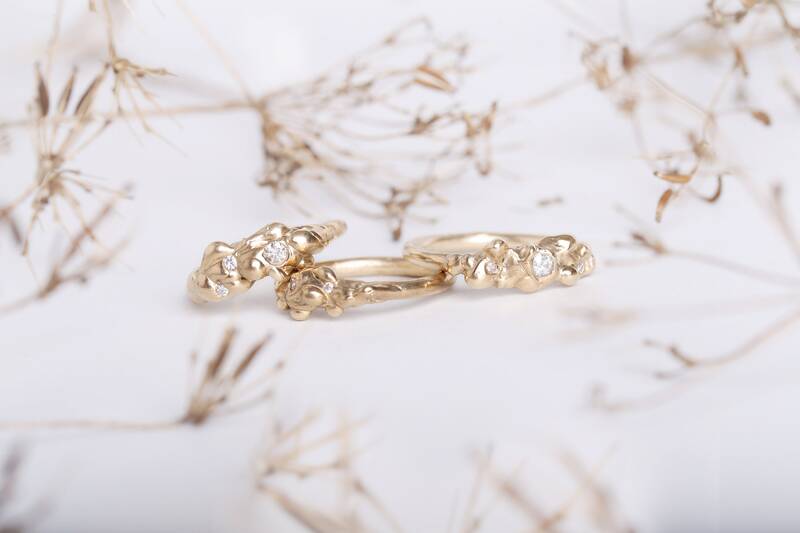 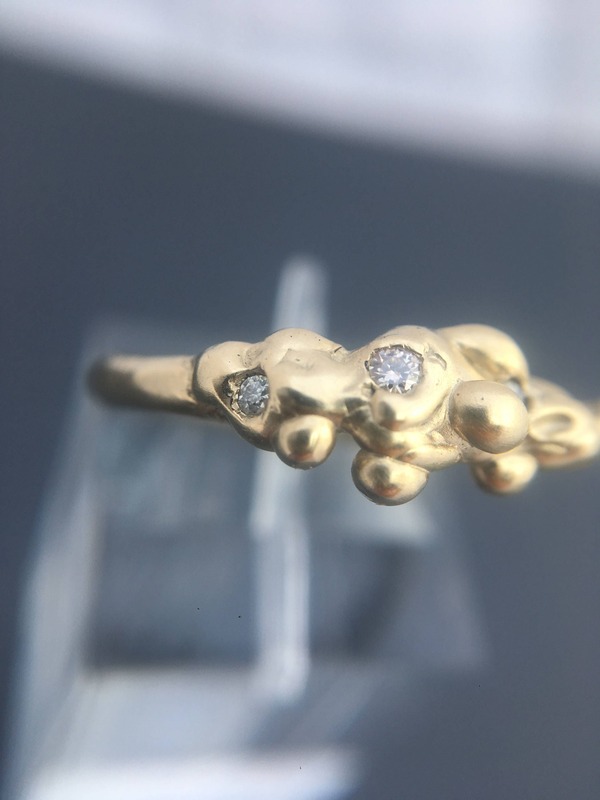 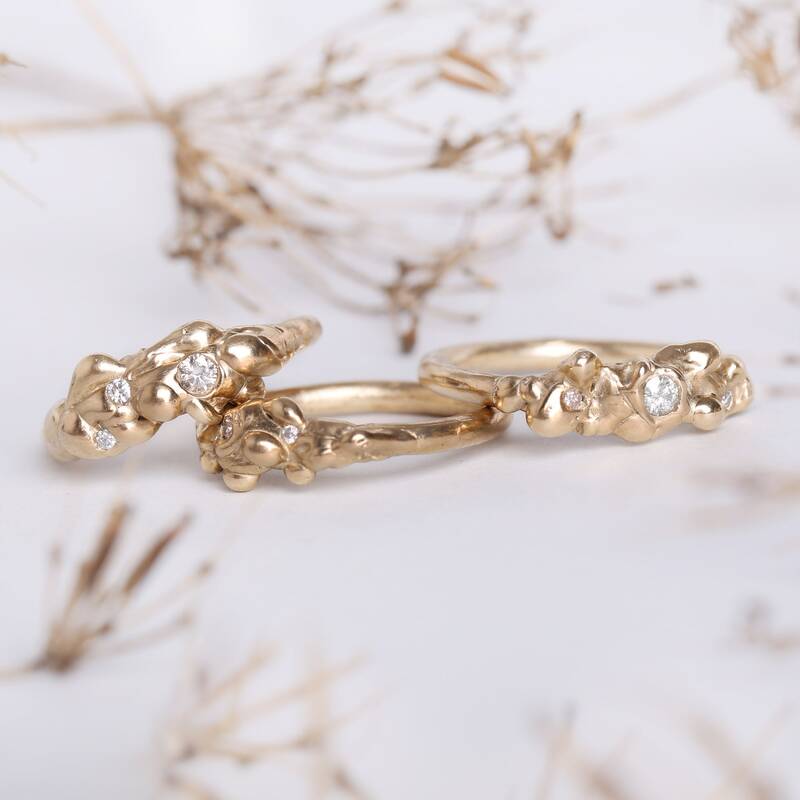 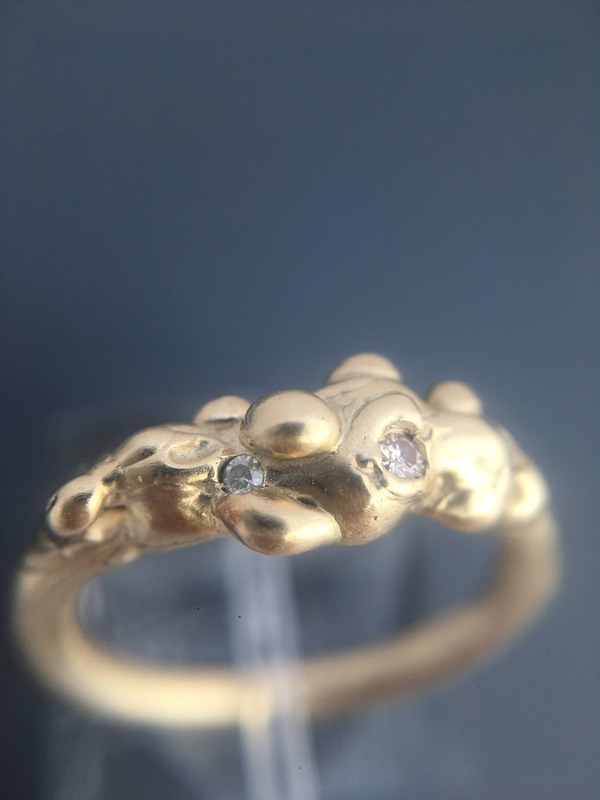 The Moissanites are set into the wax and cast straight into the gold. 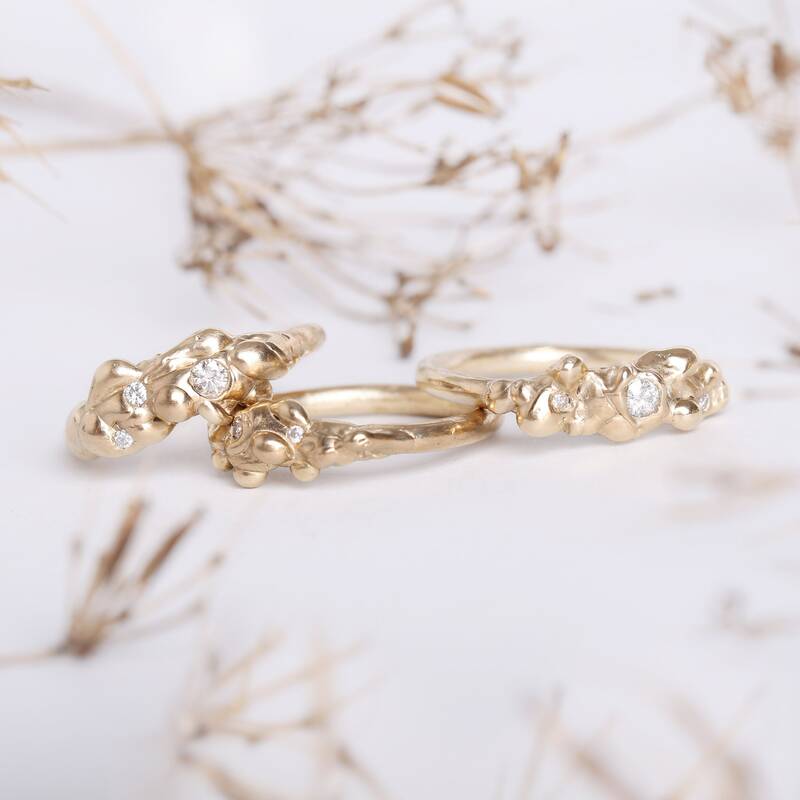 Moissanites are the man-made equivalent of diamonds, and come certified with a diamond carat. 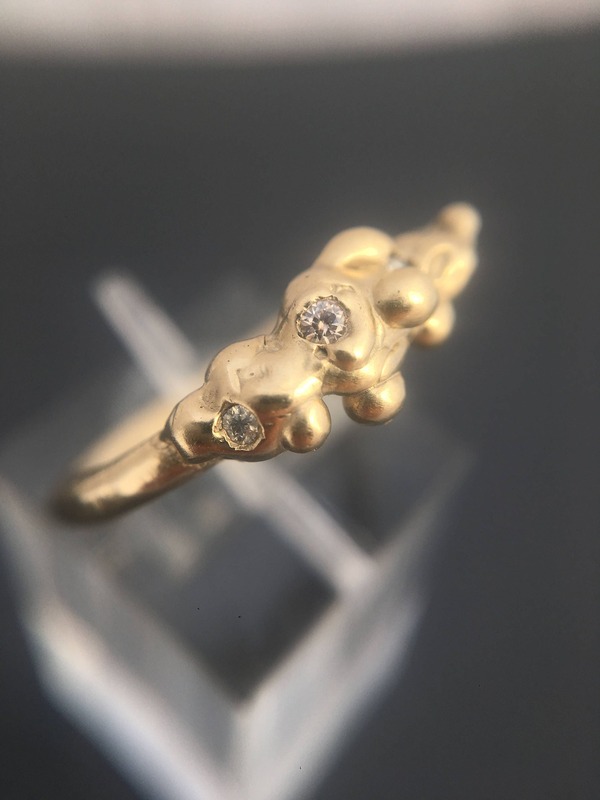 This ring has one 2mm and two 1.6mm stones.